Our choir is ever changing to reflect the make up of the people who come. It was felt it would be a good idea for new members and for others reading the website generally, to describe our beginnings and to remember how far we’ve come and how we have changed, so successfully, to reflect our choir membership. 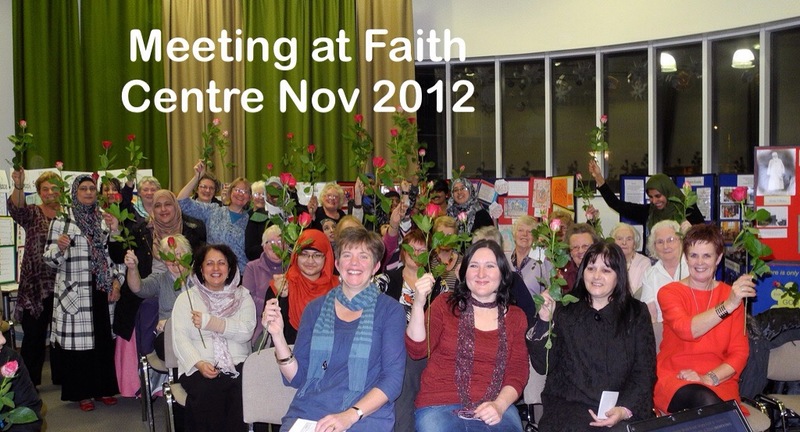 Our leader Janet Swan attended an interfaith meeting for women, at Burnley Faith Centre on 20th November 2012. 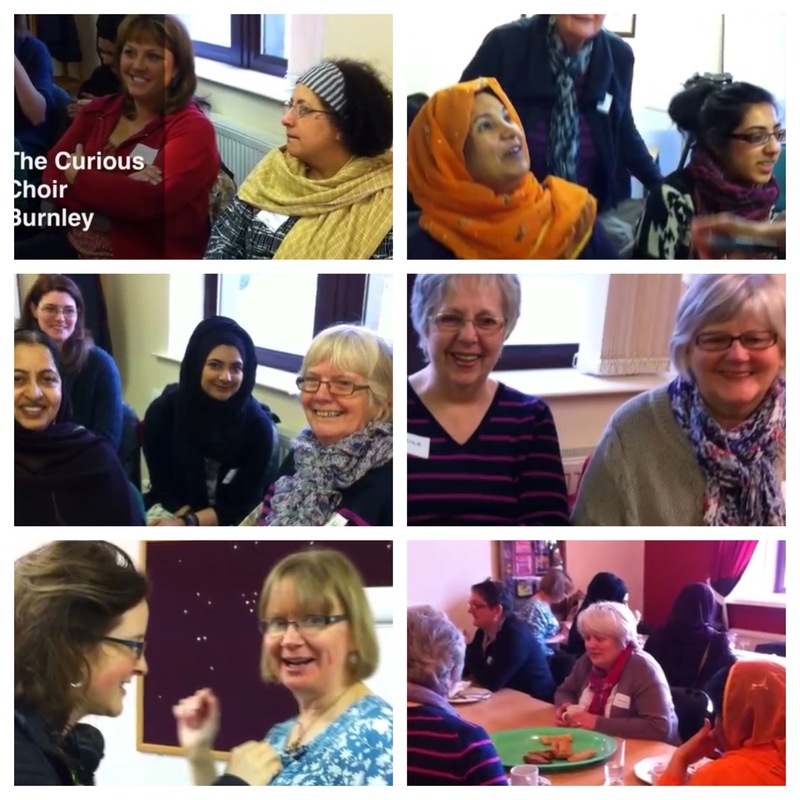 This meeting was held under the auspices of Building Bridges Burnley and it was there that Janet suggested the idea of a new choir, based on interfaith principles. Almost all the people there whom she spoke to had never sung in a choir before but we were all eager to try when we learned of the ‘learn by ear’ approach. Plans went ahead and, after Janet presented a submission, some funding was granted from Near Neighbours (Church Urban Fund) which allowed her to present initial sessions including an away day. Bea Foster is thanked for all her support at this time, in her Building Bridges Burnley role. The first meeting was held in March 2013 and was a full day at Coldwell Centre, on the moors above Burnley. We waited until March because several people who were interested went on a women’s interfaith pilgrimage to Jerusalem. Whilst there, they sang with a group of Palestinian women in Bethlehem, and as a result more potential choir members became interested. Initially the choir was called the Curious Choir to reflect the curiosity that many of us had about our voices, and that others in the group may have had about their faith or spirituality. The first year proved to be exciting, with the media being very interested in the choir, and we appeared on Songs of Praise and on Radio Lancashire. 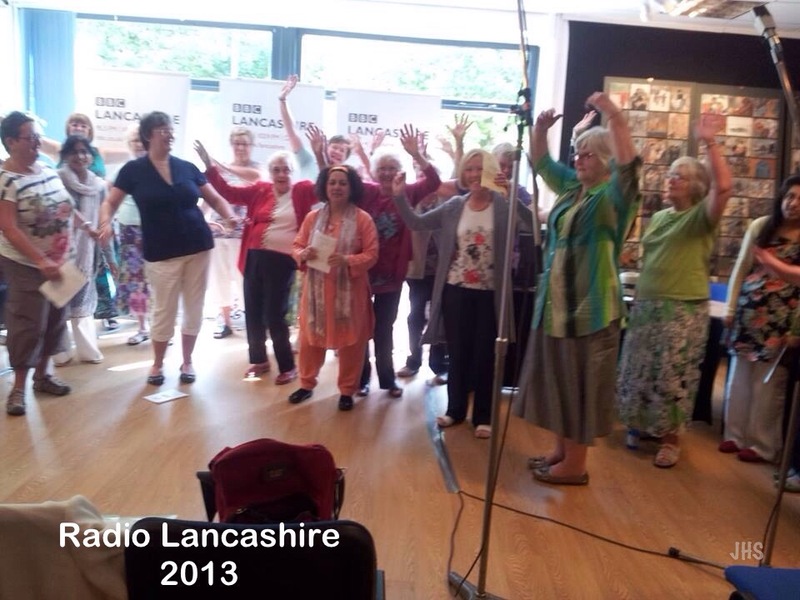 We met weekly at the Faith Centre in Burnley and our singing just got better and better. As a result of consulting with the members of our choir, it was decided to change our name to ‘Singing for the Soul’ in order to reflect the nature of the songs we sing and the interfaith work we were involved in at this time. 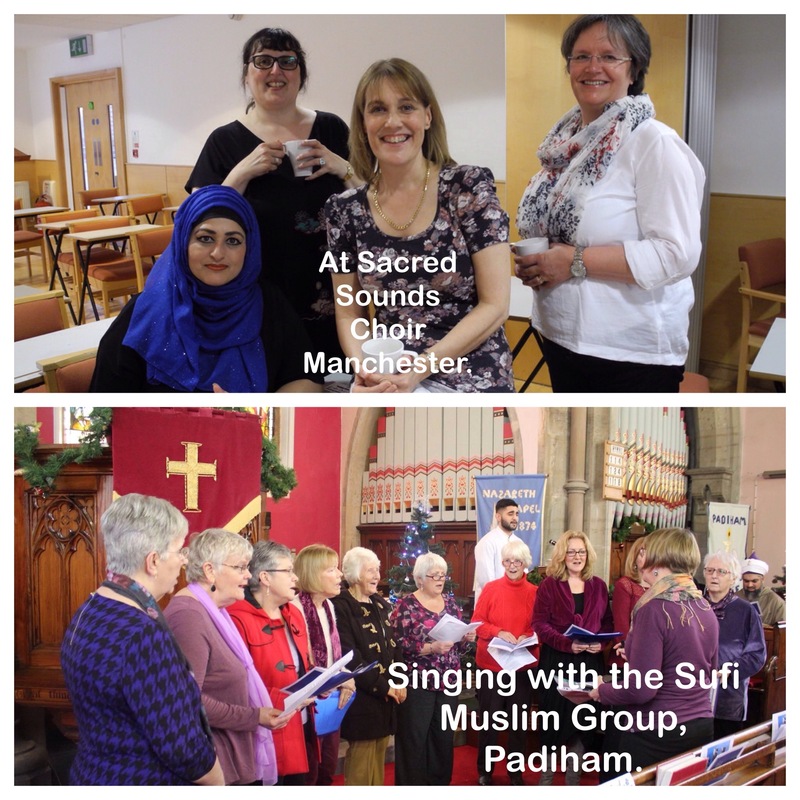 This work included meeting up on a couple of occasions with Sacred Sounds Interfaith Choir in Manchester and also singing with the local Sufi Muslim group for a joint service between Christians and Muslims at Padiham Unitarian Church. Eventually, as our Muslim members found it increasingly difficult to commit themselves to singing in public, we dropped the label ‘interfaith’. We still believe that, whatever our views or our faith, there is much more that unites us than divides us. Janet has involved us in several fascinating projects over the past years. We joined up with other choirs and 70 of us sang at St James’ Church, Accrington to commemorate the Christmas Truce in WW1. 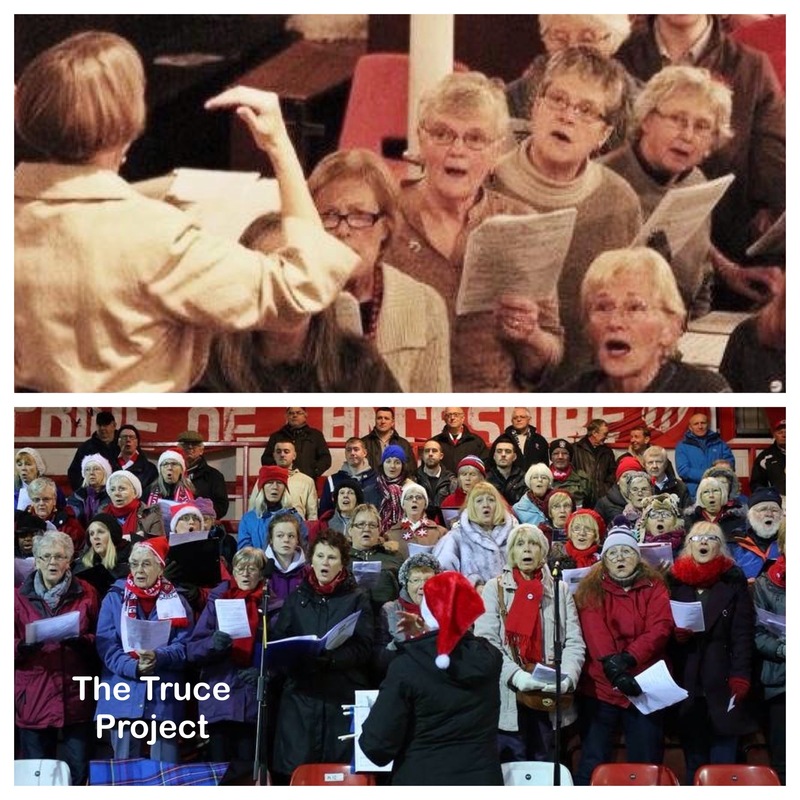 As part of the same “Truce” project (led by Mid Pennine Arts) we went on to sing at an Accrington Stanley football match. 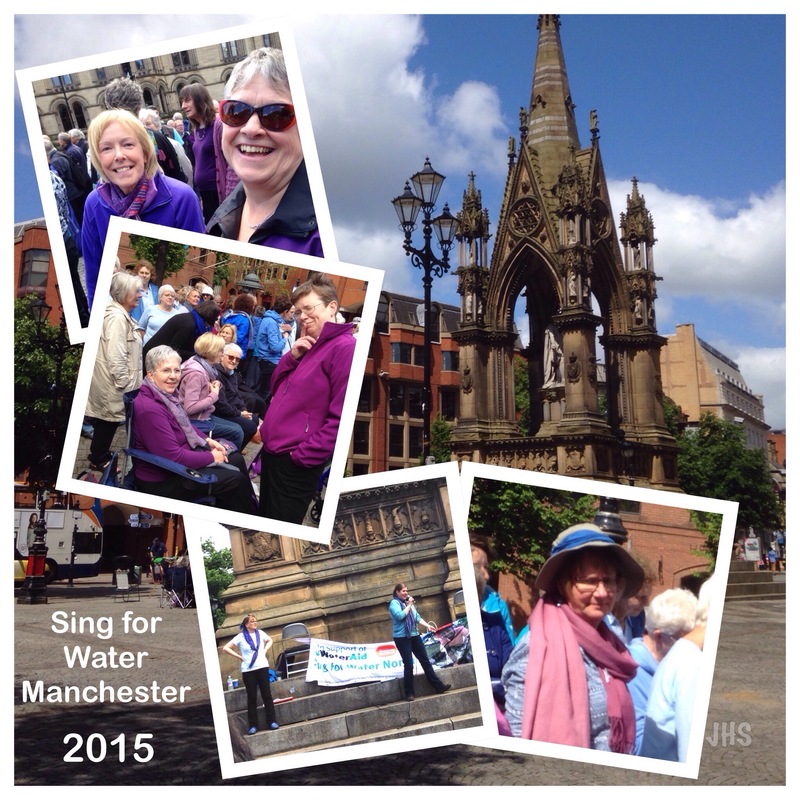 We joined up with other North West choirs in the Sing for Water project, attending extra training sessions and eventually singing twice in Albert Square Manchester and once in Accrington. We were instrumental in raising thousands of pounds and providing clean water for many families. Here we are singing in Zulu in Manchester. Some of us have attended weekends at Minsteracres in Northumberland at which Janet has led groups of singers in learning new songs from all over the world. In 2017, we supported Janet’s Singing for Lung Health group when they sang for the Royal College of Nursing Conference in Liverpool Arena and at Towneley Hall in Burnley. We were privileged to sing and sign at a Mass for the Deaf at St John’s Church, Ivy Street, also in the summer of that year. In March 2018, we were involved in singing at Burnley College to celebrate 100 years of women’s suffrage, all decked out in colours of the suffragette movement. We have regularly held events for women to have a go at singing, including an event at Burnley Mechanics in early 2018. In particular, these “natural voice” events are for those who are interested in learning to sing in a group with confidence, without the need to audition or read music. We still do this regularly so that new members can come and have a go and feel welcome. Later in 2018, we sang at a Christmas concert in Haslingden in aid of Rossendale Dementia Choir. Our birthdays have been happily celebrated and we try to make sure that we have occasional opportunities to meet for a meal together. We meet each Tuesday in Brierfield library. Janet records some of the things that we learn and these are put online and accessed through the website so that we can practise at home. We keep in touch through a weekly email as well as on Facebook. We have all become such good friends too. We go from strength to strength in terms of numbers with 20 regular members, also in terms of the quality of our singing. We all feel though that new members should be supported and feel free to explore their own voices, as we all continue to do. There are always plans for the future – involvement with Pendle Hill Song fellowship and celebrating the life and work of Ethel Carnie Holdsworth, a social activist, writer and mill worker – and we continue to enjoy learning new songs, singing familiar ones and enjoying each other’s company.